If possible, I think it is definitely a better idea to take a break between graduation and work, than to seamlessly transition from intensely preparing for thesis defense to intensely launching a new job. In addition to attending orientation meetings and workshops, learning new tools and platforms, researching on whether to choose 401k or Roth 401k and how much to save, and of course remembering the names and faces of colleagues at work, I also need to finish up graduation documents and research manuscript after work. At the same time, looking for a new apartment rental is not an easy job, especially when I just started to work (meaning, no paystubs yet). Although I have tried my best to keep everything in order and things are looking good so far, I certainly underestimated the mental demand and stress this transition could be and I always felt that I was in a rush and wish I could have more time to prefect whatever I am doing. For example, I wish I could have more time to polish my PhD thesis, although my committee members thought it was quite well written. I know if I am to spend another month polishing it word by word, I may make it an even better piece of writing. I wish I could have more time looking for new apartments, although the one that I like right now seems decent. I know if I am to spend another few weekends visiting different places, I may find somewhere better or cheaper. I wish I could have more time refreshing my memory of some data science tools and knowledge before I started to work full time, although the first week turned out to be technically smooth. I know if I am to spend another few days studying and checking my note, I may be more comfortable jumping from academia to a company. And I wish I could have more time doing research at work, although I have already got some preliminary results on day 3. I know if I am to spend more hours reading literature and coding, I may get some more exciting insights. Whenever I try to convince myself to move on to the next task, there is always a voice in my head “I’m NOT ready yet!” Of course, things can be better. Knowing that something can be improved given more time and effort is both a blessing and a curse. Some people may call such trait “perfectionism”. As a researcher in graduate school, you will have to be a perfectionist in every detail of your project and argue back and forth in your mind at all costs, otherwise your research articles may be rejected by those rigorous reviewers. Usually the cost is time. This may explain why most graduate students spend 6 or more years working on their thesis. I already learned in the past that the pace in industry is much faster than academia and I thought I was already prepared for a fast project cycle. I thought I would immediately enjoy the fast-paced industry setting because after years of grinding on the same problem in graduate school, the word “fast-paced” itself is music to my ears. Again, I underestimated the influence of 6.5-year slow-paced perfection-driven academic research on my thinking and working habit. I was used to reading literature for weeks, double checking protocols, and repeating several times, and only when I felt the results were unarguable, I felt ready to put them in my thesis. In this process, I was mostly working by myself, and could just indulge myself in the ocean of literature and experiments for days. In the REAL world, however, time is a scarce resource, and in many cases, the scarcest. We may accumulate more wealth and assets over time, but we have 24 hours every day no matter what. Some people may have higher efficiency and better time management. Nevertheless, the amount of time given to each individual every day is the same, and time does not roll over to the next day. We can still be perfection-driven and aim at an unarguable claim, but time flies, and market does not wait 6 years for a product delivery. I already experienced such difference in my internship, and now as a full time, there are more responsibilities and more to take on. And since I do want to make a good start and leave good impressions in my first job, I tend to get back to my old perfection-driven mode, and then realize I just do not have that much time to perfect everything in my to-do list. Prioritizing is easier said than done. 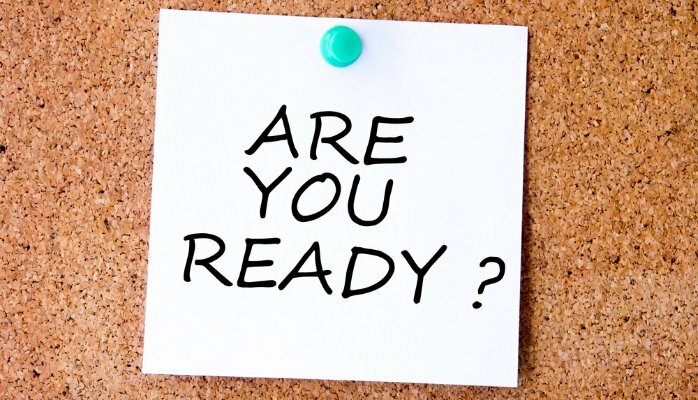 Think you are not ready yet? Go anyway. As a perfection-driven person, I feel I am never ready and always wish I could have more time to improve. But sometimes, perfect is the enemy of good, especially when time is scarce and you need to prioritize. This is still a mind switch for me at the moment and I believe through trial and error, I will become better at prioritizing and learn to embrace imperfection. I feel lucky to find your blog by a google search. Your posts are really great, full of interesting stuffs. Congrats to your graduation! and I wish to see more awesome stories in your new journey in industry. Great article! I had very similar feelings when I had a very shot time frame to write my dissertation, prepare for thesis defense and submit my paper before moving on to the next chapter of my life. I never felt I was ready for the next step. Your article is very inspiring! I really like your blog! I am a third-year PhD student who specializes in commodity futures and wishes to transit to private industry after graduation. Reading your blog is really helping me understand what it takes to land an industry job and excel in it. Honestly, most of the PhDs in our group don’t stand a change to finding a tenure-track faculty in decent U.S. universities. Despite this fact, no one really talks about working in private sectors and how we should prepare for it. Finding your blog is amazing and I am hoping to see more of your experience posted in the future. Awesome blog, just reading your experience is really helpful to make my own decisions. Thanks!